I just learned of the death of Allan Sekula. Allan, who taught for several decades at the California Institute of the Arts (CalArts) and died on August 10, 2013, was one of the most important people in my intellectual development and, from my perspective, one of the world’s great essayists, critics, artists, and social activists. In the art world, Allan was best known for his pathbreaking work on the relation between visual and textual representations. As a committed activist who sought to lead others toward the revelation of truths (in particular, the underlying truths behind the workings of capitalism), Allan remained forever intrigued by the power of the image. For Allan, the image – first the still photograph and, later in his life, increasingly the moving image – had an awesome power to both reveal and obscure. But he also recognized that an image is inherently ambiguous, and that its meaning always exceeds itself. Therefore, the image can exist only in context, and the author/artist/essayist who wants to use an image is impelled to employ text (or, in the case of a film, narration) to shape that context. Allan articulately states this case, and illustrates it through numerous examples, in his first book of essays, Photography against the Grain (the book is almost impossible to find, but see Chandra Mukerji’s review in Contemporary Sociology, March 1986, pp. 203-206). Practicing what he preached, Allan was as accomplished an essayist as he was a photographer and filmmaker, and his works achieved their greatness through the creation of complementarities and frictions between text and image. In Allan’s works, text and image each elaborate on and critique the other, leading the viewer/reader to reach new levels of critical analysis and political awareness. While Allan’s contribution to art criticism has been notable, I personally have been most moved by his sensitive, yet precise studies of the ocean and its role in shaping the rhythms and processes of modernity. For Allan, the ocean brought to the forefront all of the problems and potentials of photography that he had identified in his earlier works of photographic criticism. The ocean is on the one hand profoundly photogenic, but on the other hand it is profoundly unknowable through its photography. Out of this contradiction have come a range of misunderstandings of the ocean that in turn have led us to underestimate and underappreciate its role in the formation of modernity and the workings of capitalism. Through photography, the ocean can be “seen” as a pristine space of nature, it can be “seen” as an empty surface, it can be “seen” as a tumultuous world of danger. But when one views the ocean from any of these perspectives one loses a sense of how the ocean serves as a site for forging modern labour-capital relations, one loses an appreciation for how the materiality of ocean-based resources both extends and challenges the logic of capitalist commodification and accumulation, and one fails to perceive how the ocean provides the rhythm of globalization even as globalization wishes away the ocean’s liquid existence. The challenge for Allan was to use visual imagery to reveal rather than obscure, and this required a careful and intentional dedication to imbedding the image in an argument. That’s why, for Allan, every image was an essay and, in many cases, the image was accompanied by a textual essay. Throughout his life, Allan never lost faith in the ability of the image to raise consciousness, and his photography – and, in particular, his life-long engagement with the ocean – sought to merge imagery with activism to achieve understanding. I had the pleasure of spending an afternoon with Allan at a conference on Race, Ethnicity, and Power in Maritime America held at Mystic Seaport in 1995, when I was a graduate student at nearby Clark University. I found out about the conference well after the deadline for paper submissions had passed and anyway I was just beginning to conduct research on the ocean and probably wouldn’t have had anything to present, given that the conference was a key annual gathering of maritime historians. Fish Story, Allan’s exhibit catalogue/book that explored the ocean in modernity and that in many ways guided much of his work during his final two decades, had been published just a week or so earlier. I, of course, had never heard of it (or of Allan). As the conference slowly devolved amidst differences between traditionalist maritime historians and the upstart community of social historians of the sea (and their anthropologist allies), Allan stood out as neither. His presentation, a “greatest hits” talk of both text and images from Fish Story, challenged not just my understanding of the ocean but also my understanding of what can constitute an academic publication and how one can combine textual story, factual image (or empirical example), and academic argument. In short, Allan Sekula shaped not just the way that I think about (and write about) the ocean; he also shaped the way that I think about myself as a scholar. After his talk, Allan – almost as much of an outsider at the conference as myself – and I got to spend several hours walking around the Connecticut harbour town, getting to know each other and discussing topics ranging from maritime history to labour studies to container shipping to the New Left in US politics. Like many socially engaged artists, Allan maintained a fascination with geography – both the concept and the discipline. It is indicative that one of his essays in Photography Against the Grain is titled “Sketch for a Geography Lesson,” an exploration into the multiple layers of visual representation that are played out in popular war games, and a later exhibition catalogue/book, Geography Lesson: Canadian Notes, explores how Canadian identity is rooted in alterations and reifications of the Canadian landscape. Allan’s last film, The Forgotten Space, received some notice from geographers, with reviews in both Antipode and Society & Space, a viewing and discussion at an event sponsored by the London-based Passenger Films geography-film collective, and participation by David Harvey in a forum on the film at New York City’s Cooper Union. Prior to that, however, his work failed to attract much attention from the Geography discipline. I suspect that some of this is due to the obscurity of his publication venues. In almost all cases, his books have been small-batch reprints of exhibition catalogues. Photography against the Grain, Fish Story, and Geography Lesson: Canadian Notes are all unavailable from their publishers (although a German-language version of Fish Story — Seemannsgarn — is available from its Düsseldorf-based publisher, Richter Verlag and a DVD of The Forgotten Space is easily obtainable from its Amsterdam-based distributor, Doc.eye. I think geographers may also have been turned off by Allan’s aversion to “big” theory. Of course, one can trace his work to theorists of representation and politics (e.g. Bourdieu, Lefebvre, Simmel, etc. and, in his documentaries in particular, Vertov). Even a quick glance at the essays in Fish Story makes it clear that, when he wanted to, Allan could engage with theory in a highly sophisticated manner. But Allan was suspicious of what he saw as gratuitous (and potentially depolticizing) turn to theory among some of his colleagues. I remember that during our walk in Mystic Allan was particularly dismissive of art students who discover theory and then “embrace it as a weapon.” Perhaps because Allan was so reliant on text to contextualize his images he was wary of letting the image become swamped (and made inaccessible) by theory. But it would be a discredit to Allan and his work if we were to turn this dismissal of theory back on him. 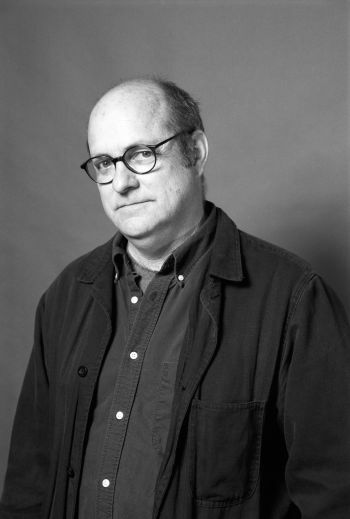 Allan Sekula’s writings and images of the sea and other spaces speak profoundly to geographers and I hope that in his death, if not in his life, these links are pursued further. For more on Allan’s life and works, his CalArts obituary presents an excellent overview, as well as links to other obituaries.